International Data Quality Summit. 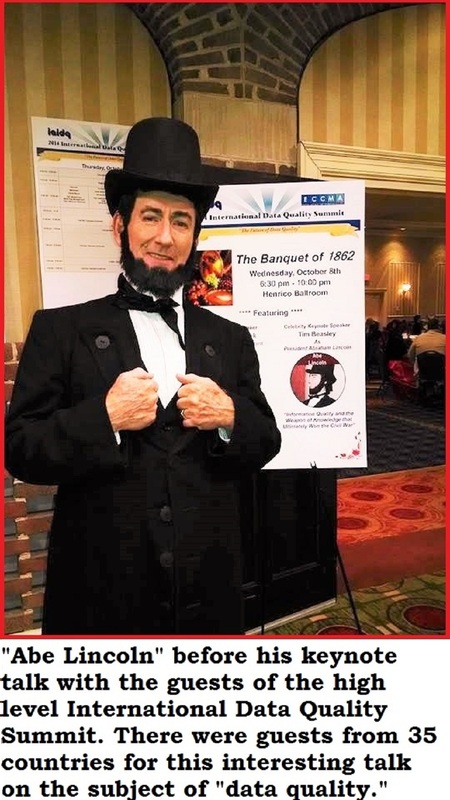 Oct 8, 2014 had Tim Beasley as 'keynote speaker President Lincoln" present his talk on how information "quality" won the war for the North during the Civil War. 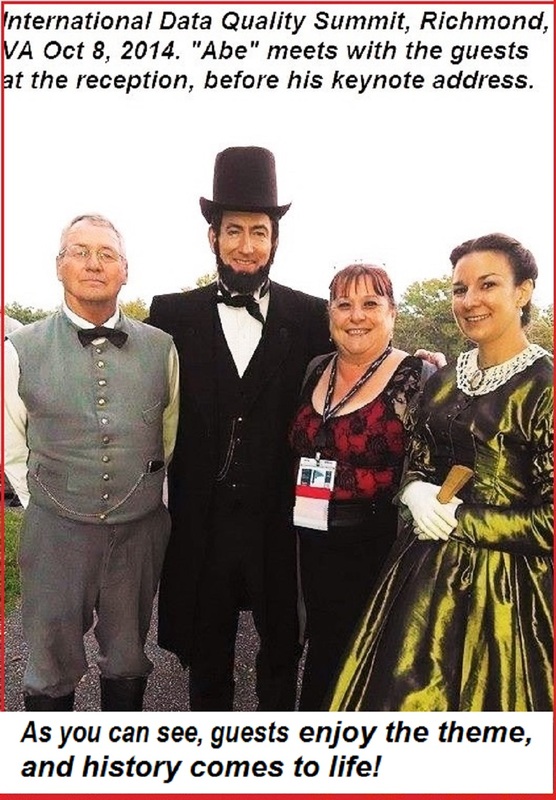 Event was at the exclusive business resort, Virginia Crossings, in Richmond, VA.
Tim Beasley has appeared and performed as US President Abe Lincoln for some mighty high - level political events, including for the "Lincoln Day Dinner" fundraiser for the GOP. 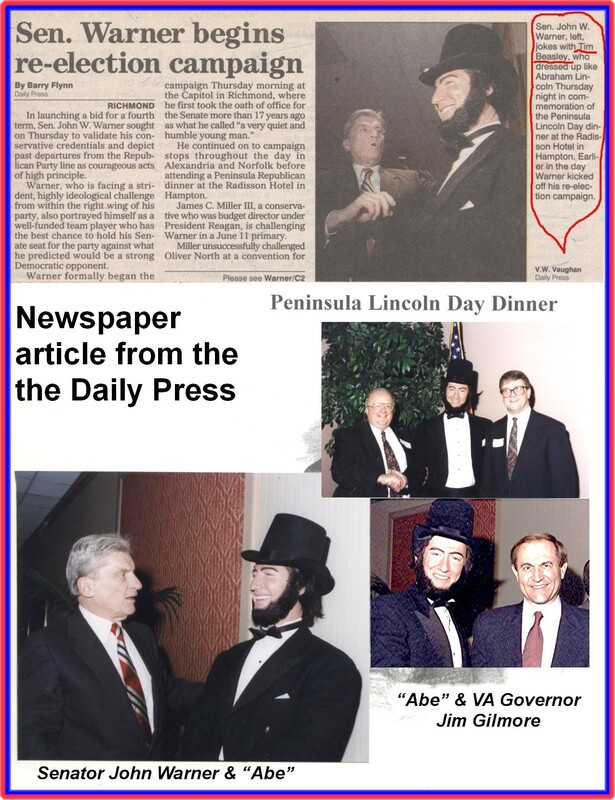 This appearance was honored to have the venerable Senator John Warner (R - Virginia) in attendance which was succesful in the bid for Warner's senatorial race, and also for Jim Gilmore to become Governor of Virginia. 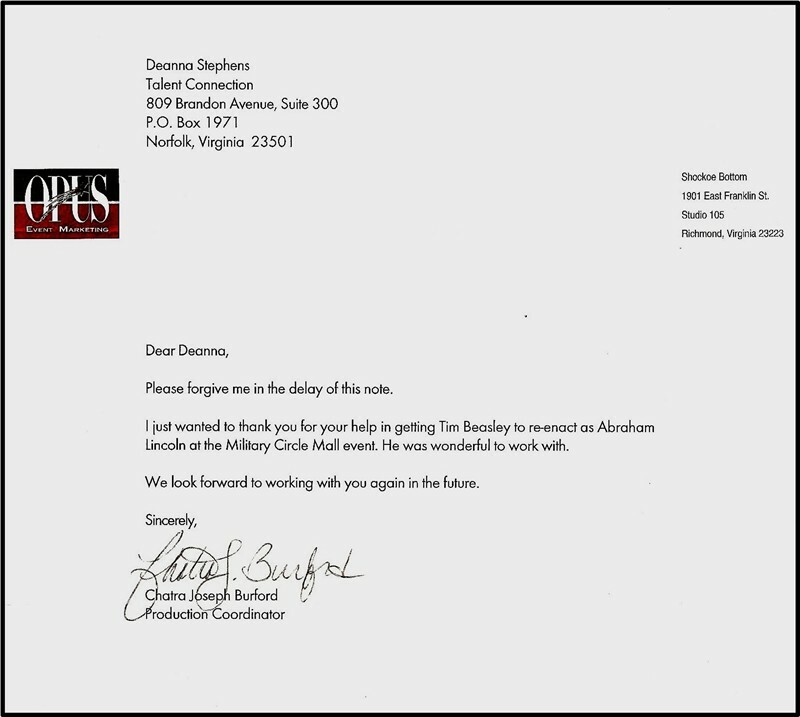 Events have also included appearing for the traveling retail promotional attraction 1/4 scale (over 40 feet long!) White House replica, also featuring the full-sized "Lincoln Bedroom" exhibit for Military Circle Mall, Norfolk , VA's grand re-opening. 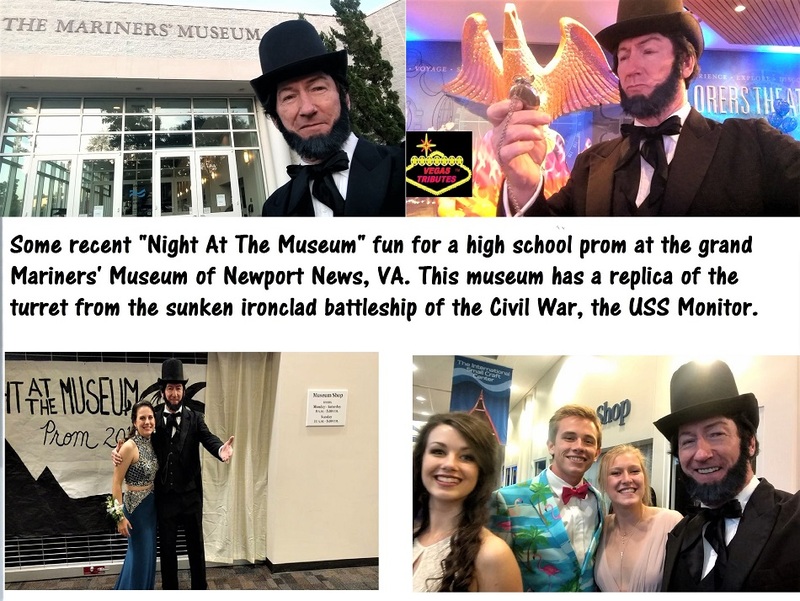 Plus as "Abe," Tim was chosen from the many national actors in this role to appear in the National Cherry Blossom Festival Parade in Washington, DC, for a conservatively estimated attendance of over 100,000 vistors from around the globe! 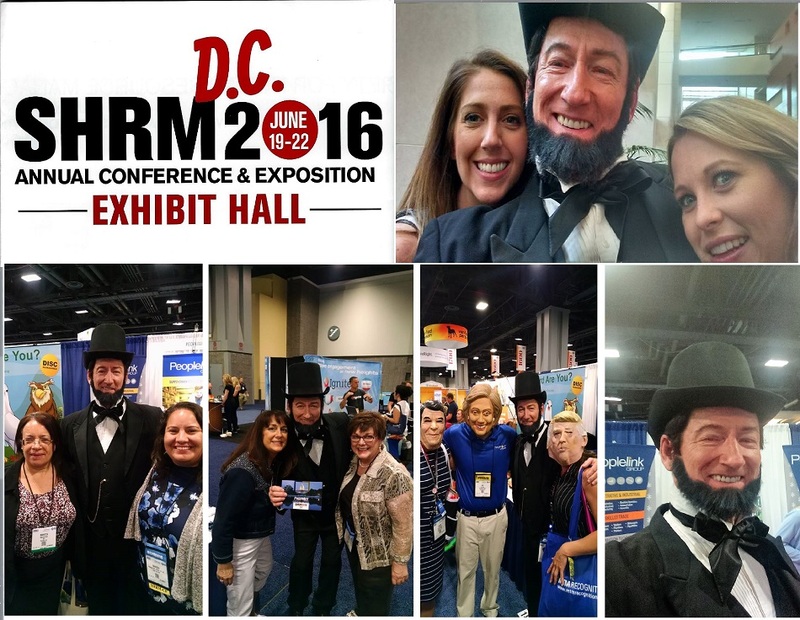 ...and more Washington DC fun! Also some fun with the optional "Living Wax Museum" appearance! Please call, we love to talk!...and you can text, too!